The weekends in 2019 are in the lovely Yogahouse in Twello – with splendid environment and a relaxed and beautiful programme. 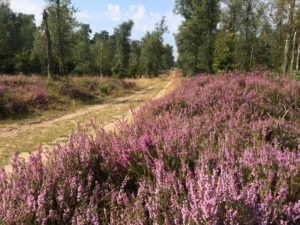 The weeks in the Summer are in a beautiful monastery near the Veluwe, the biggest National Park in the Netherlands with its vast heather fields and forest. Are you searching for a welcoming place of retreat, reflection, and where you can advance your spiritual development? Do you want to relax, gain peace of mind, experience the power of the now and live fully from your inner light? Know that you are welcome. Join us for retreats, meditation teachings or support for your existing meditation practice, advancing your intuitive development and personal growth. 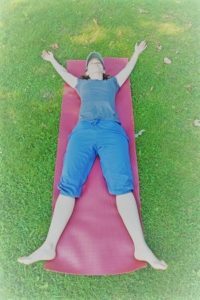 Join a yoga weekend, meditation holiday or retreat. I selected special places for reflection offers an amazing supportive environment for retreats and in deepening your practice. Programmes are all-inclusive, providing comfortable private or shared accommodation, vibrant and lovingly prepared vegetarian meals each day, where possible organic. You will get quality support throughout your stay. We stimulate you to integrate the meditation exercises into your daily life so that your spiritual growth continues effortlessly. Your inner force and inner peace will deepen, and you will develop the ability to live fully from your inner light. For an even more complete experience during your spiritual growth, you can book soothing massages, sound healings and reiki treatments. Yoga weekends not only include yoga practice, but also meditation exercises, pranayama and full support for deepening your practice. Each yoga weekend is a brief but ultimately relaxing retreat. You can also join a weekend in silence, practising yoga and meditation. This is the ultimate holiday for the mind and nicely deepening. 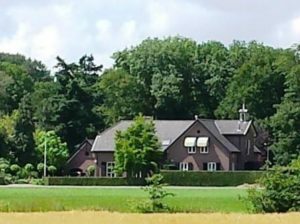 Between July 12 and August 16, you are welcome to join the retreats in a beautiful monastery near the Veluwe, the biggest national Park of the Netherlands, with its vast forest and heather fields.